I think its more like a tiger or somethin, as his shoulderpads are orange (had to see duo housecolor). I made a gatling for the Orca as well, of course not as detailed as yours, but the problem I'm having is the gatling is floating unattached from the Orca. I've linked it to the Orca, and it's in the correct position in Max, but in game it floats just below and it bounces to the oposite direction to the Orca when hovering. I've used this as a Generals model and it works correctly in that game but not in TW. Obviously I'm missing something, any ideas. Thats because TW air units have a lot of own animations (like hovering from side to side when standig in the air) while in ZH most of the movement anims were dynamicly generated by the locomotor setting. Make an second draw module and use "AttachToBoneInAnotherModule=" to attach it to a specific bone in the first one. It allows me to have an animation for the cannon whichout touching the orca itself (so I can have an spinnig gattling). I suggest you should do somethin similiar, just use an existing bone to attach you cannon so you dont need to reexport the orca. So, incase anyone cares: I finally got my Gatling Orca to work like it was suposted. "-various fixes and balance changes "
Maybe you should copy the GDI Grenadier weapon, and change all things so it matches the Firehawk bomb, and don't delete any other lines you didn't change. How did you get the Orca wings to fold down on landing? Those wings are seprate mehses, so its quite easy. I rotated them at 45 degree and used it as an animation for being on the ground (ConditionsYes="LOCOMOTOR_TAXIING"). Luckily, TW is able to "create" animations on its own, so I dindt have to make transition states from "normal" to "fold" - the game moves the wings automaticlly in the right position. Thats a very nice effect. And some very nice changes over all, very nice idea. You and I think alike, it would seem . Thanks for putting this up to play with. Mkay, I actually played it with a friend online, and I have to say I was a little disappointed. Nod's too powerful, more so than they should be. Also, I was kinda disappointed at the lack of all the Orca modifications, with the exception of the speed, which did greatly affect the unit to an almost unusable status. Even if it still had the modifications, I'd say the speed nerf was a bit too excessive. The sonic has basicly the same damage as it will in 1.9, just with a longer reload time. Its meant as a defence against light units and unit spam. But belive me, 1.3 ist way more polished and way better - just need to finish the AI and translate the whole thing into english. Moved to the finished Mod's section. I know a newer version was made, but this one works on its own too. The big issue I have with this mod is that it does make NOD way overpowered. New patch already did that. Because it's part of the GDI's military doctrine. Lots of armor so each unit can take extra punishment, but each unit is also slower than it would be without said armor. NOD's MCV is faster, and the Scrin's MCV can fly. There's logic to all this, trust me. I can see this being alright, but really, the NOD is just not about protecting their soldiers - they don't have the giant battle suits of the zone troopers nor do they have the tough exoskeleton of the shock troopers. Vehicles can run over them because they're in kevlar and capes. I like the idea of the gattling gun on the orca - I always felt GDI got trumped in it's air power as every other side got unlimited ammo, while the ORCA got a limited number of weak missiles. You just really need to fix some major balance issues. Also, do a bit of research on each faction's military doctrine, so you can get a better idea on why each side has what weapons. There's a reason NOD stuff doesn't have that much armor, and there's a reason GDI's stuff has metric craptons of it. Directional armor wasn´t a bonus, it was a malus. MCV and Surveyor received more damage when attacked from the side or from behind. 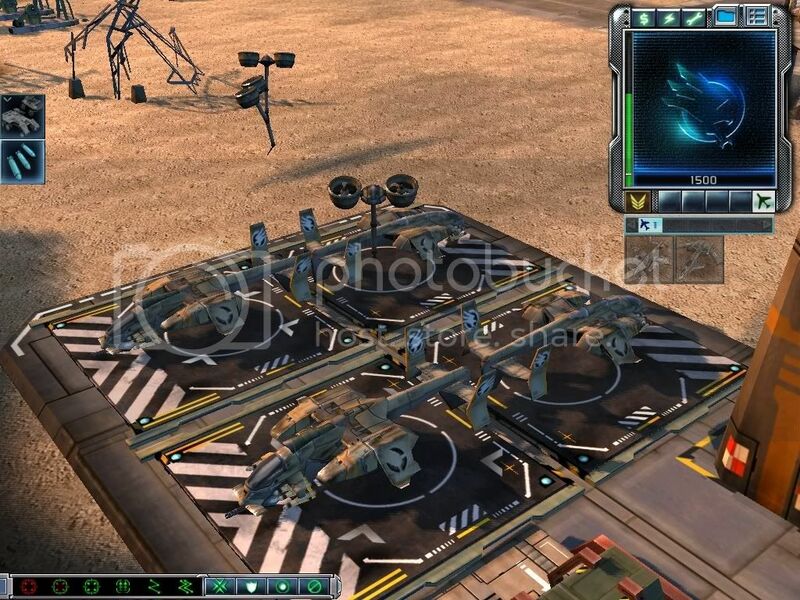 The Armageddon is Nod´s support power bomber, not a buildable unit. It can´t be microed, nor can it be used as hit and run. The 600 HP were an artifact back from the days when it was actually Venigos delivering the support powers, but nowadays 600HP for a 4k$ weapon is too little. BHs armor is pretty close to power suits. Besides, it made tanks the most efficient counter, which are not supposed to fill this role. Also please note that this version is heavily outdated. 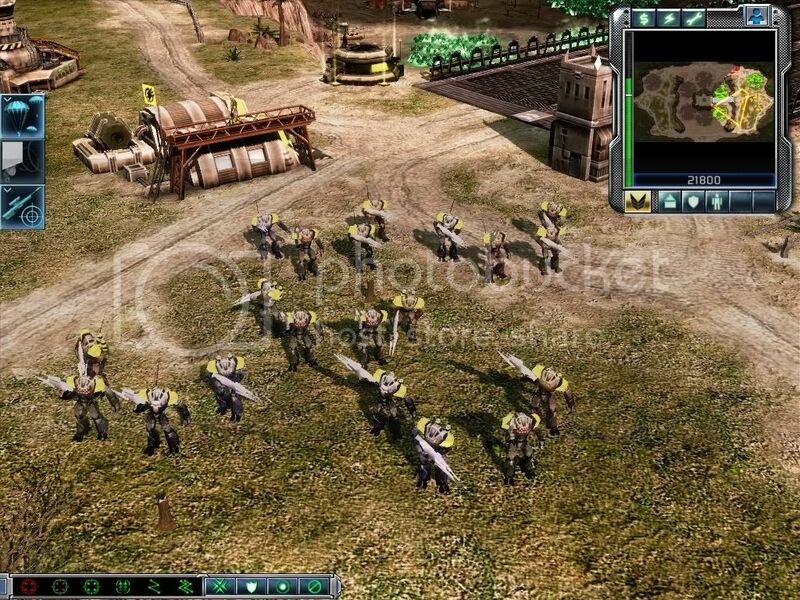 Tiberian Wars: Advanced Version 1.41 is the newest public version available. Thanks for your interest and feedback though. No, theres no logic. EA patched all MCVs to have the same speed and health, only the directional armor is different. Its reminiscent of "If I spend 3000$ for a superweapon, it should be able to deal damage and no got killed by 1 stupid sam site"
The original TW bomber is just a reskined vertigo..., thats why I boosted them.